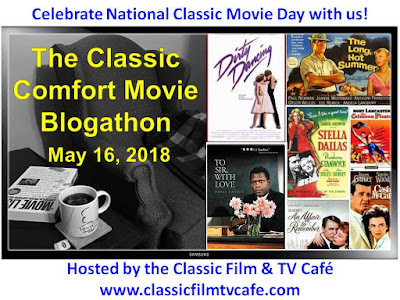 What better way to celebrate National Classic Movie Day than with a bunch of movie mavens dishing about some of their very favorite 'comfort' movies. So after you peruse my post, please use the link above to see what other movies other bloggers are writing about today. Classic comfortable movies, what could be better? Truth to tell, there are many classics I turn to when the going gets rough and life gets prickly, I've written about these films off and on over the years. THE SECRET LIFE OF WALTER MITTY is one I mentioned years ago but the review seems to have disappeared from my blog so I've decided to write about it again for the first time. 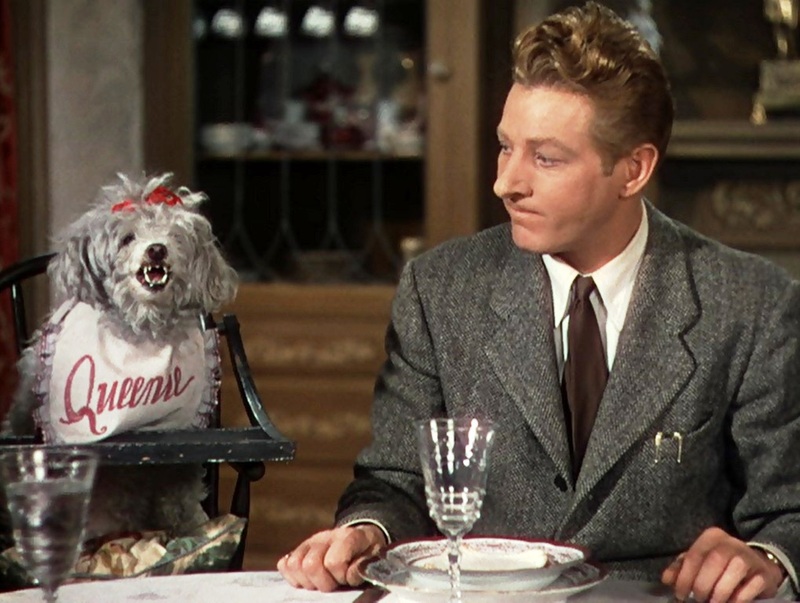 There is nothing, absolutely NOTHING I enjoy/enjoyed more at the movies than watching Danny Kaye attempt to be suave. Just the lift of that one eyebrow and the beginnings of that supercilious half-smile and I'm already laughing out loud. Can't help it. No one else did it as well or as funnily - or, for that matter, as expertly. It's just something about the swaggering pompousness mixed with a kind of calm, cool bravado. How he managed it - I don't know. Genius, I suppose. 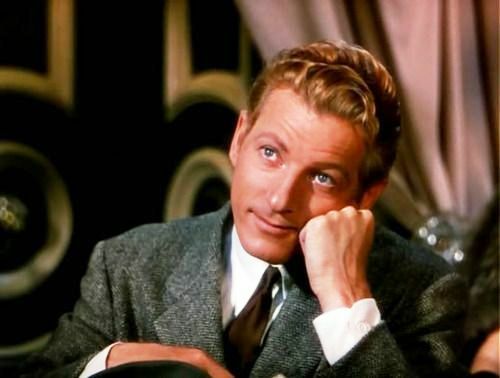 Danny Kaye was matchless. And we haven't even talked about his incredible ability to fast forward through those trademark chattering songs with rat-tat-tat lyrics, usually written by his wife, Sylvia Fine. SO spectacularly mind-bogglingly wonderful. Yeah, I'm kind of a Danny Kaye fan-girl. 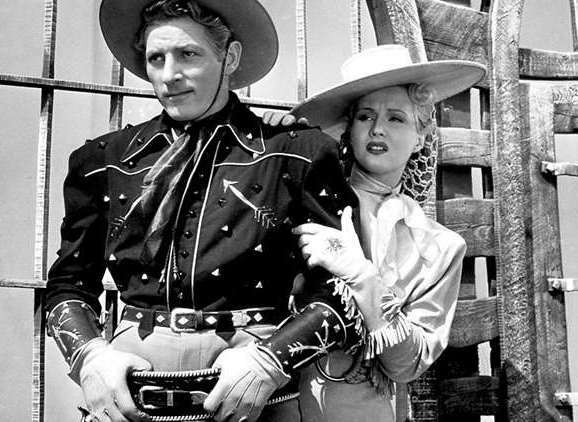 And since my favorite Danny Kaye film, THE COURT JESTER, was chosen by CAFTAN WOMAN for today's Blogathon, I picked my second favorite. 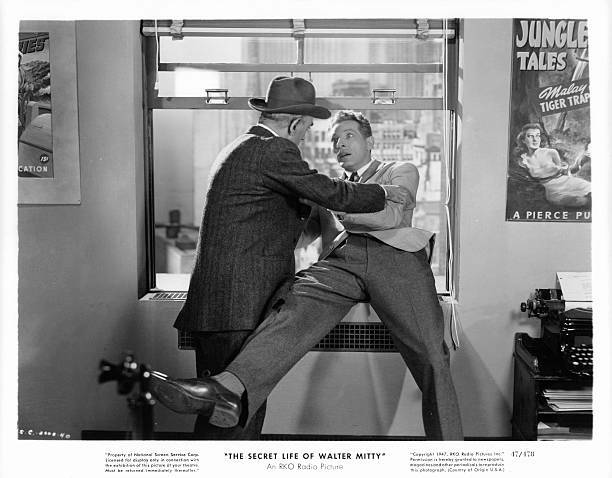 THE SECRET LIFE OF WALTER MITTY screenplay was based on a short story by iconic American writer James Thurber and enlarged into a Samuel Goldwyn extravaganza by Ken Englund and Everett Freeman with some input from Thurber who was not happy with the final outcome. The film does go on for rather long and seems to run out of steam but not so much so that it ruins things, it is an extravaganza after all. 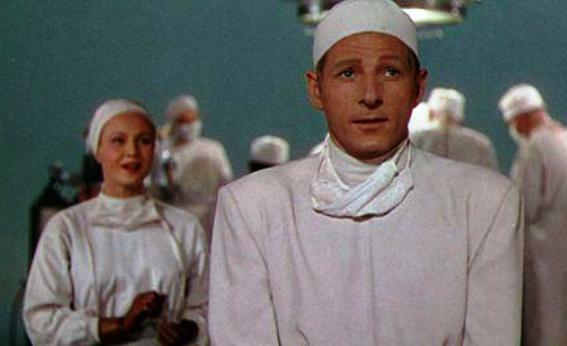 Too much of Danny Kaye is always better than not enough. 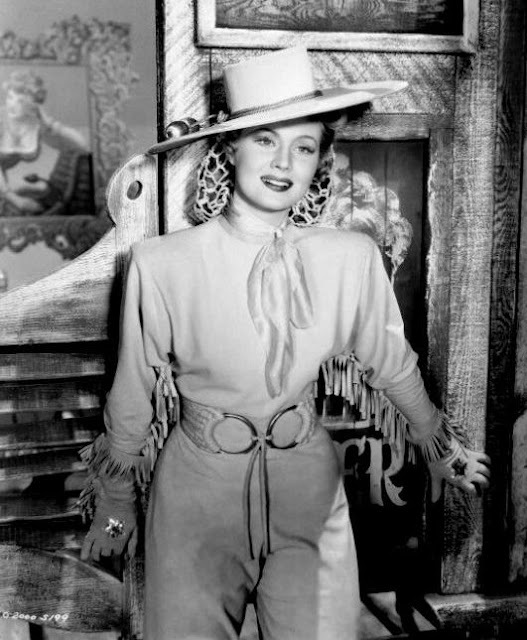 The film was directed by Norman Z. McCleod who also directed another of my very favorite 'comfort' movies CASANOVA'S BIG NIGHT (1954) starring Bob Hope, Joan Fontaine and Basil Rathbone - an absurd costume farce which I find strangely funny and comforting in all its ridiculousness. 'Farfel, farfel, pippick." The cast of THE SECRET LIFE OF WALTER MITTY is pretty darn good. Besides the genius of Danny Kaye, we also have Virginia Mayo, Fay Bainter, Ann Rutherford, Boris Karloff, Thurston Hall and Gordon Jones who I always thought of as a kind of wannabe Jack Carson without Carson's gifts. Still, he's perfect here as the thuggish bully, wannabe boyfriend. AND we also have - inserted into the movie for no particular reason except that Sam Goldwyn decreed it - The Goldwyn Girls. They were a pack of glittery, pulchritudinous females, of no particular beauty or charm who dreamt of big Hollywood careers as they paraded around in bathing suits and clingy evening gowns. Goldwyn was fond of pretty girls jazzing up his films. Co-star Virginia Mayo, for all her blandness, was a good foil for Danny Kaye (she starred with him in several movies), but in this film she is hampered by one of the more dreadful wardrobes ever foisted on a starring actress. 'Costume design' indeed. The hats alone are frightening enough, but the rest of her outfits - except for maybe the first few scenes in which she is decked out in a blue/green suit - don't enhance Mayo's charms in any way. The designer was Irene Sharaff who must have been having a bad day or maybe she had a grudge against Mayo. At any rate, none of the this hampers anything much. 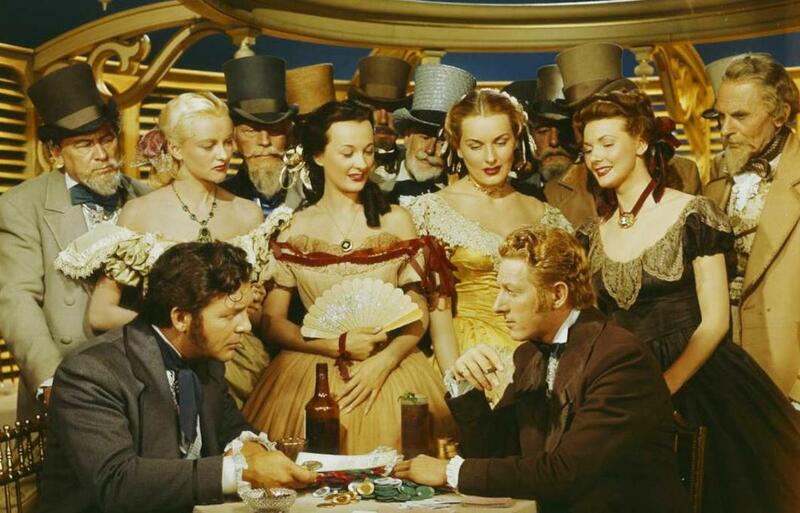 It's Danny Kaye's movie from beginning to end and that's just how we like it. He is perfectly cast. 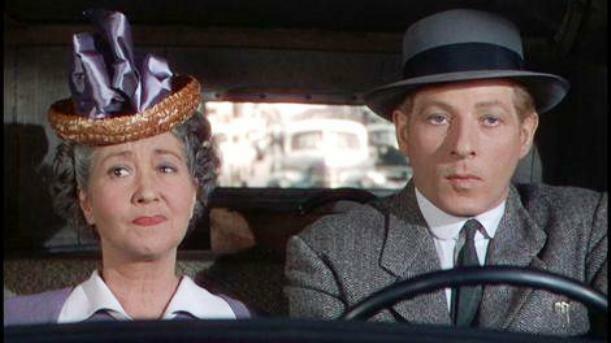 Fay Bainter as Mrs. Mitty, showing her normal dissatisfaction with her son, Walter. Walter Mitty is a hapless, bumbling, milque-toasty sort of guy who, despite his age, still lives at home in the suburbs with his domineering mom (Fay Bainter). Mrs. Mitty treats her boy like an indentured servant, having him fetch and carry and run errands as if he has nothing else to do in life but see to her needs. And Walter goes along with it. Walter works in Manhattan. So it's not as though he doesn't earn his keep. He is an editor for a pulp fiction publishing house run by blustering, overbearing Mr. Pierce played by Thuston Hall who made a career out of these roles. Of course it's no surprise that Pierce takes credit for all of Walter's ideas. The one on the left is Walter's fiancee, Gertrude, another dissatisfied female. She shows her dissatisfaction by snapping. The one in the middle is Queenie. She shows her dissatisfaction by growling and snapping. Nobody respects poor Walter. Not even his fiancee, a rather stupid girl named Gertrude Griswold (Ann Rutherford). She treats Walter as if he is simple-minded and oh-so-very-fortunate to be marrying her. Her fuzzy little dog views Walter with contempt as well. As does family friend and would-be boyfriend Tubby Wadsworth (Gordon Jones). It's obvious from the beginning that Tubby has the hots for Gertrude and she treats him with coy indulgence, as she ought to treat Walter. It's equally obvious that Walter doesn't want to marry Gertrude and is only doing so to please his mother. Sad. Anyway, unhappy Walter spends a great deal of his time daydreaming. I mean, wouldn't you? Instead of standing up for himself in real life, he imagines himself the grand-standing hero of an imaginary life or make that, many lives. The insouciant RAF commander, scourge of the Nazi Luftwaffe. The keen-eyed riverboat gambler, unwilling to take advantage of a fool. But a man's gotta' eat. The sharply dressed cowboy defending his woman-folk. "Oh, Doctor, you were wonderful." The sensitive but brilliant surgeon trying not to look superior. "It was nothing." 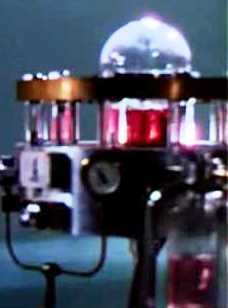 The 'topakita, topakita, topakita' machine. You hadda' be there. Anatole of Paris. I need say no more. 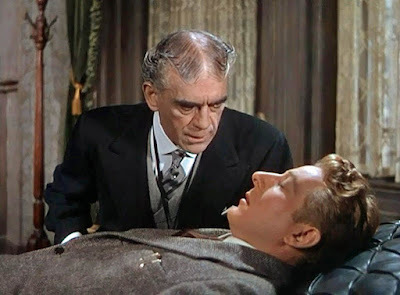 Whenever Walter daydreams, the film takes off into a kind of never-never land of hilarious fantasy sequences in which Danny Kaye shines as an RAF officer, a strutting cowboy, a brilliant surgeon, a French fashion designer, a riverboat gambler, etc. Needless to say, he is wonderful in each larger than life characterization. And then his reality takes a sudden exciting turn when on one of his train trips, a fetching young woman sits next to him and drags poor, confused, protesting Walter into a 'real life' adventure. Her name is Rosalind van Hoorn and she is on the run from spies. Something about a little black book - isn't that always the way? P.S. Is that a spiderweb on her shoulder? Asking for a friend. It takes a while for Walter to get with the program once he discovers that despite his dreams, he is not much of a hero in real life. Most especially since no one believes him when he tries to explain why he's acting even odder than usual. Besides there's that skulking doctor (Boris Karloff with his hair parted in the middle) who keeps trying to push Walter out a window. The bad guys hypnotize Walter and try to make him believe that Rosalind is a figment of his vivid imagination. 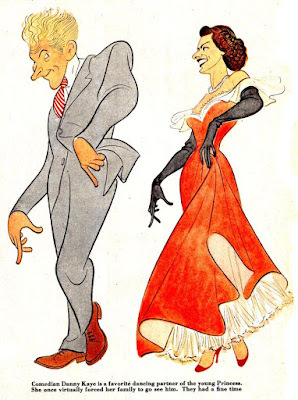 Subsequently, Walter and Rosalind play cat and mouse with some bad guys who are after a treasure hidden by the Nazis, in the course of which they come up against a really, REALLY bad guy nick-named, The Boot. Uh-oh. Is that hat really necessary? But all's well that ends well as Walter gives The Boot the boot, becomes the hero of his own life, stands up to his mom, wins the girl of his dreams and gets a promotion at work. 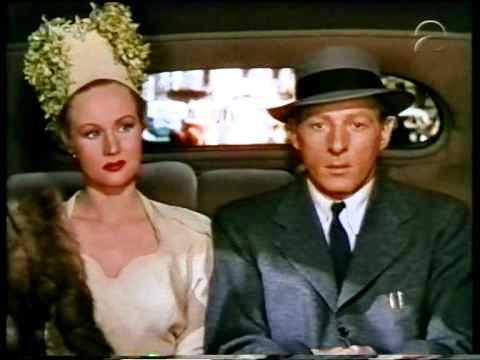 What I find most comfortably comforting about THE SECRET LIFE OF WALTER MITTY is Danny Kaye's presence, his finicky Mitty persona and the actor's professionally sure grasp of the absurd. I also love the story's happy ending of course, where everything settles as it's supposed to. And I do so enjoy the idea of a character finding his true self through adversity even if the whole thing is nothing more or less than a goofy fairy tale. I like fairy tales, goofy or otherwise. I find them soothing. Danny Kaye and his wife Sylvia Fine by caricaturist Al Hirschfeld. 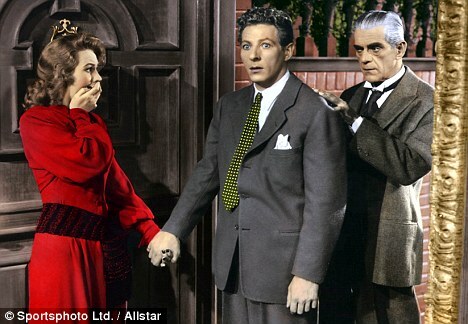 Danny Kaye was an absolute incomparable. Irreplaceable. He was so wonderful in these sorts of roles. 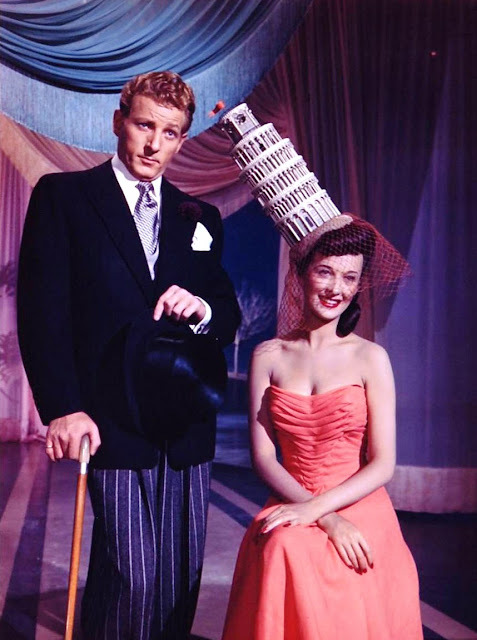 Oh, the pleasures of Danny Kaye. You and I know what we like, and what we need for comfort. So often when I'm watching 1940s films, I can't help but giggle thinking about Anatole of Paris. The fantasy sequences are very well done, and I love Bainter and Rutherford as a couple of unlikable women. Sometimes I get peeved at the lack of proper editing, but you are right as always. It may be a long movie, but it really is a satisfying one. PS: topakita, topakita, topakita and a Farfel, farfel, pippick to you. Watched this quite a few years back, but remember enjoying it. Kaye was an amazing talent. I even remember his TV Show. Did you ever read the book Danny Kaye: King of Jesters by by David Koenig? I interviewed the author some time back. Here is the link if you are interested. Thanks for the link, John, I'll check it out. I admit to being a Danny Kaye fan, so how could I not love this? Your post was wonderful and yes - Anatole of Paris - there is not need to say more. I mean really, what else needs to be said? Ha. Thanks, FlickChick. 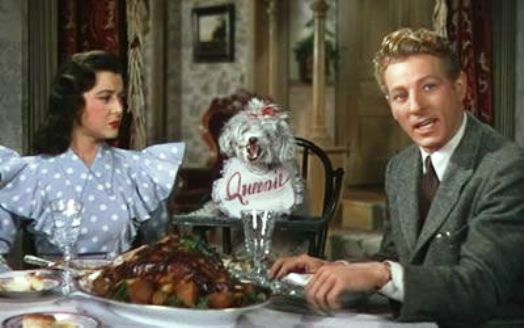 Danny Kaye is wonderful! I only heard of this film when the remake was released, a couple of years ago. So far, where I live I couldn't find a copy - seems to be a rare movie here. But I won't give up on my quest to watch it! I hope you get a chance to watch this classic, it's well worth searching for. Danny Kaye was incomperable. 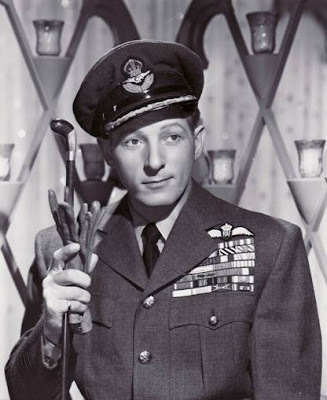 The Walter Mitty story is perfectly suited to Danny Kaye's talents. I agree the film runs a bit long, but Kaye is up to the task. Oh, the wardrobe is a nightmare. Ha! Wait and see. :) Yes, I agree, Danny Kaye is up to anything. Yes, I agree, Rick - he should have gotten several more starring extravaganzas. He was SO wonderful, so brilliant, so talented. And yes, I, too, love Glynis Johns. She was my second favorite actress (next to Jean Simmons) when I was a kid and growing up. I never saw Jean Simmons give a bad performance. And talk about versatile--BLACK NARCISSUS, ANGEL FACE, THE ROBE, THE THORN BIRDS, etc.! Agree completely. Plus she was incredibly lovely - never hurts. I remember watching this film as a kid many,many years ago and I loved it back then. It's been too long between viewings! Thanks for a great review and a reminder that I need to see this again. Best regards, Paul. Meant to add: I had trouble posting a comment on your blog, Paul. Wrote out the whole comment and then couldn't post it. I love THE THREE MUSKETEERS and really enjoyed your review. Loved Danny Kaye. Watched him so often as a kid and my family liked him. Have to find this movie at the library. Yes, we watched his movies growing up too. He was wonderful. I think some relatives knew him and liked him, so that added to the movie fun. That hat! It looks like the hair of Elsa Lancaster in The Bride of Frankenstein! I’m with you – Danny Kaye was funny. Not that long ago, when my daughter was a little girl, we watched THE COURT JESTER together, and laughed through the whole thing. She showed the DVD to her little friends, and they all went around saying: Get it? Got it. Good. By the way, can anyone not laugh at that still of Anatole of Paris? That's a great idea. I think I'll see about viewing THE COURT JESTER with my grand-kids one of these days. Anatole of Paris - it's the eyebrow!!! Ha! Sunday Salon: Happy Mother's Day!